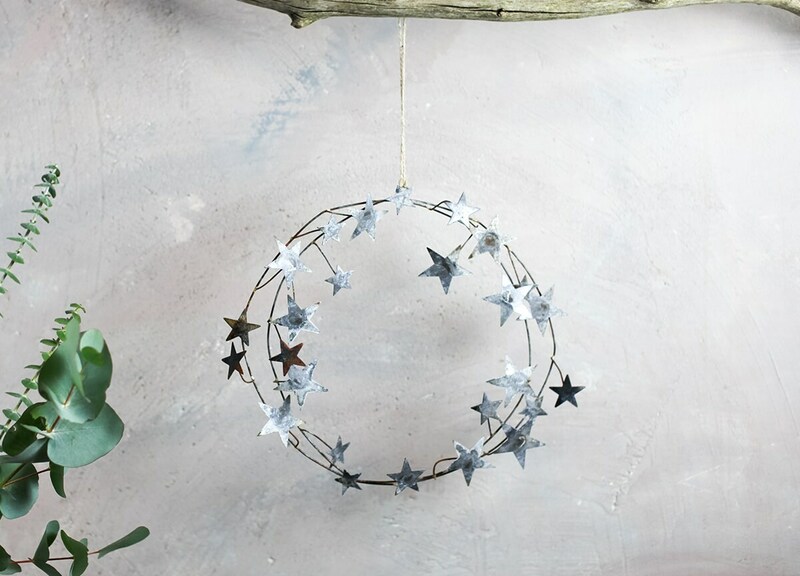 This attractive metal star wreath has an enchanting rustic finish - in fact, we have been referring to it as a 'halo' wreath! 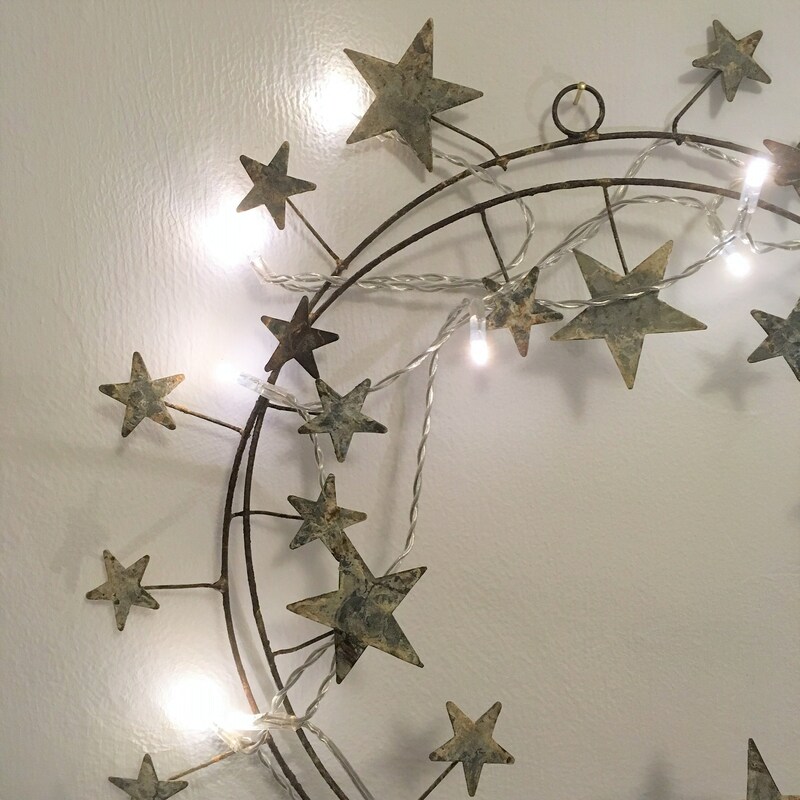 The coil of stars looks stunning on a door, wall or table. Each star can be adjusted and shaped which adds definition. 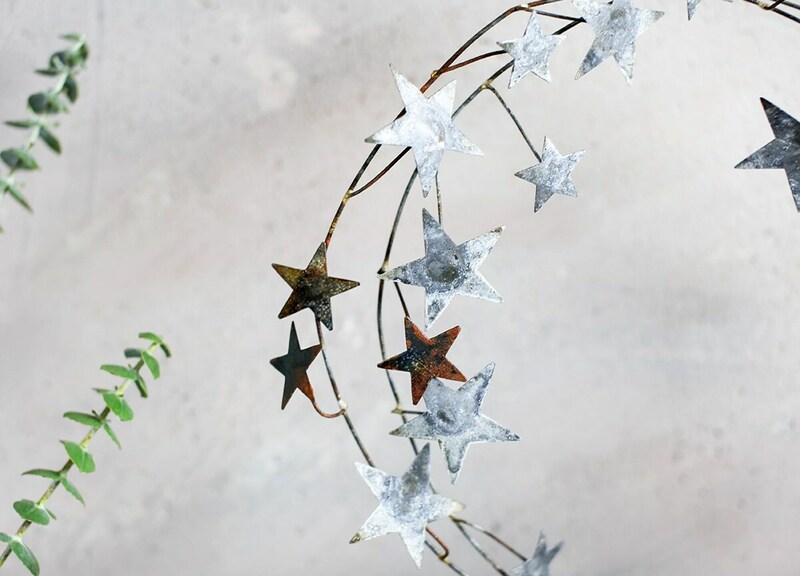 We have chosen to wind fairy lights in and out of the stars, but you could add foliage, such as ivy or eucalyptus to your display, or simply leave it bare. Measures 5 x 35cm (diameter). Wreath has a metal circular hold at the top, so can be strung with ribbon, string, or hung directly to your door without an further adornment.